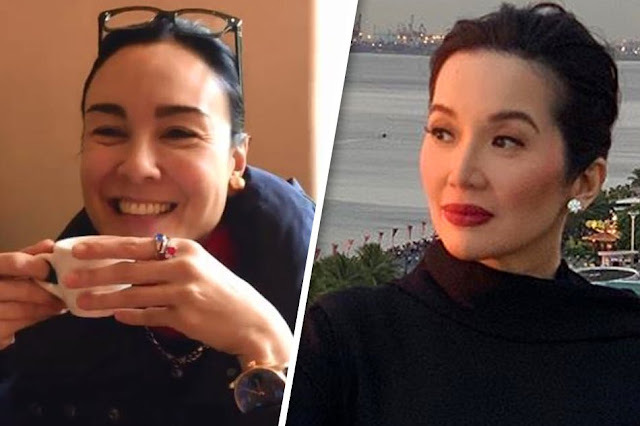 Promising that she'll open up more about it in another interview, Gretchen Barretto gave hints this Saturday in an interview with DZMM as to why she's siding with Nicko Falcis against Kris Aquino. "I stand for what's right," she said, refusing to reveal, for now, more details as to what she exactly means by this. "I'm not saying that I'm the most pure person on earth, but ang tama ay tama." Barretto said she has yet to personally meet Falcis, but "there's always a reason kung bakit nagre-react ang tao." She also hinted that her reason isn't even anything Aquino did to her recently, explaining her philosophy regarding this: "You do something to me today, hindi ako magre-react ngayon. "I may react many years later." She said now, "Kris is powerless." "This is the time I feel like I can react because for the longest time, she had the power and she did everything that she wanted." Back in January, Barretto accused Aquino of using her influence to help a friend get out of tax trouble. Aquino has denied this. It remains unclear whether the tax accusations have anything to do with what Barretto was referring to when she said that she's standing for what's "right" and is siding with Falcis. Barretto recently threw a "thanksgiving party" for Falcis, a week after it was reported last week that the qualified theft case filed against him by Aquino has been dismissed.